Few things make a child happier than splashing around in the water. Whether at the beach or in a swimming pool, kids love to play and swim. Unfortunately, this fun can quickly turn to tragedy when adults act in a negligent manner. Property owners have a duty to secure their pools and supervising adults have a duty to adequately watch over children in their care. When these duties are not met, the resulting injuries can be life altering, if not fatal. At Taylor & Ring, our Los Angeles water injury lawyers have handled numerous water injury and drowning accident cases. We know firsthand that these incidents often involve children and tend to result from negligent supervision, improper securing of a premises, or poor product design or installation. Who is responsible for your child’s water injury? Proper security. Property owners have a duty to keep their pools secure when not in use, even for the protection of uninvited guests. Pools are extremely enticing to a curious child. Owners should refrain from storing toys and large pool floats in or around the pool area. Fences and self-closing doors also help keep the pool secure. Proper installation of components. Many pool accidents involve malfunctioning drains or filters. The powerful suction of a faulty drain can cause catastrophic injury to a child. Defective filters may explode or fail to properly clean the water, which can lead to dangerous infections. Slippery surfaces. The water from the pool can make the area surrounding it slippery. Supervising adults should ensure that children are not running or horse playing within the area. Lack of lifeguards. Public swimming locations must have lifeguards on duty during the times advertised. Failure to adequately staff these locations can subject the locality or state to liability for any resulting child injuries. Adequate posting of hazards. When owners know of hazards within the pool or swimming area, they have a duty to notify visitors, and possibly even trespassers, of the problems. Traumatic brain injuries. These injuries are common among pool incidents. A child may slip and bump his or her head against the edge of the pool. 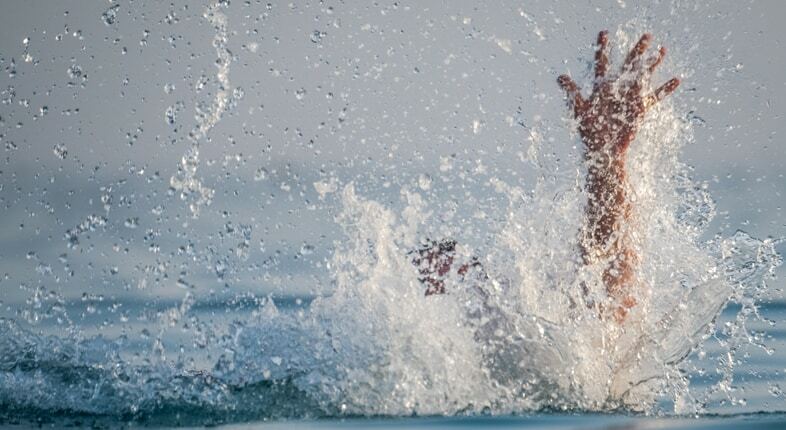 Diving into shallow water can also result in a head injury. Drowning incidents can also lead to brain injury, due to the lack of oxygen reaching fragile brain cells. Traumatic brain injuries can require a lifetime of medical treatment and rehabilitation. When pool drains malfunction, children can get caught in their strong suction. In many instances, these defects have led to the complete or partial suction of a child’s intestines from the body. These wounds require extensive surgery. Broken bones. Defective pool ladders or diving boards can lead to dangerous falls in around the pool. These hazards often leave children with broken or fractured bones. According to the Centers for Disease Control and Prevention, about 20% of fatal drowning victims are under the age of 14. Those who survive often sustain permanent brain damage from the lack of oxygen, and will a lifetime of care by a parent or guardian. At our firm, we know how to mount a successful premises liability or defective product case when water injuries occur. We conduct a comprehensive investigation to determine the exact cause of the injury and identify all responsible parties. We also ensure that all financial loss is considered when assessing the value of the case, including medical expenses and psychological treatment that your child may require following his or her injury. Also, though the child may not have any current loss of wages, we consider wages lost by the parent in caring for the injured child. We also include future wage loss that the child might experience as a result of the injury. Our firm has a strong reputation and extensive experience handling sensitive cases like these, and we have achieved precedent-setting verdicts and settlements for our clients. You can be confident that our firm will investigate the incident thoroughly and determine precisely who is responsible for the negligence involved in your accident. We are not afraid to take on cases involving residential properties, public pools and spas, or pools belonging to apartment complexes and condos. Children are a priority, and we understand that more children than adults are impacted by water-related injuries and drowning. At Taylor & Ring, we know how to handle these special cases and can discuss the unique aspects of handling a civil suit on behalf of a minor. Get in touch with our office by calling us at 310-776-6390 or by completing our contact form to schedule a free initial consultation today.